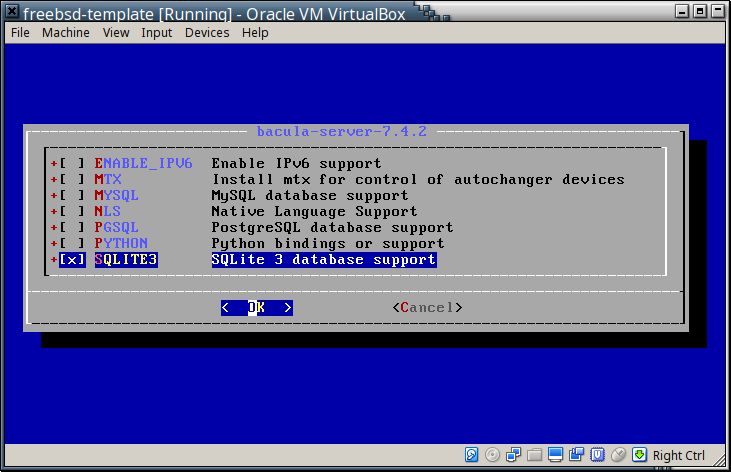 For a while I’ve been messing with backup stuff (namely a program called Bacula). To test backups properly it of course makes sense to have multiple nodes available. Now I do not have several unused PCs and other hardware available nor would I want to set up multiple nodes just to configure them similarly in the end. The easy solution? Virtualization. It allows to set up a virtual machine once and then clone it as the need arises. 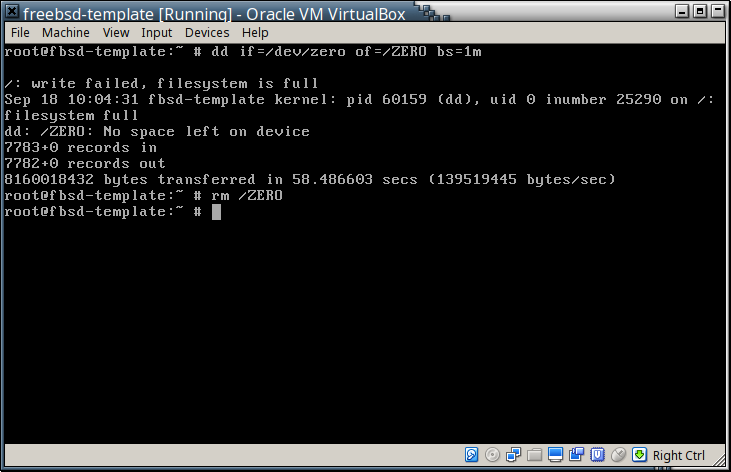 Also it means that I can try out things, do away with the VM and start over with a clean one if I want to. 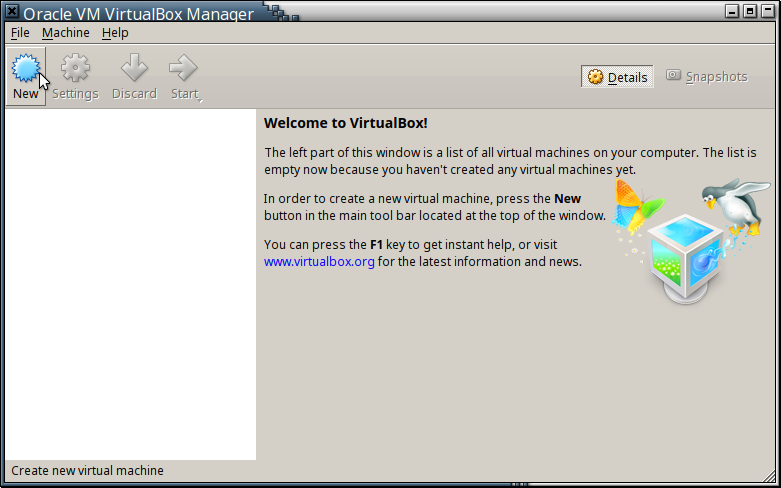 Give it a try even if you’re new to VirtualBox! Working with it is very easy and just as useful. The idea of virtualization can be daunting if you’re just starting. Therefore this post is meant as an introduction (I’ll even detail VM creation with pictures). 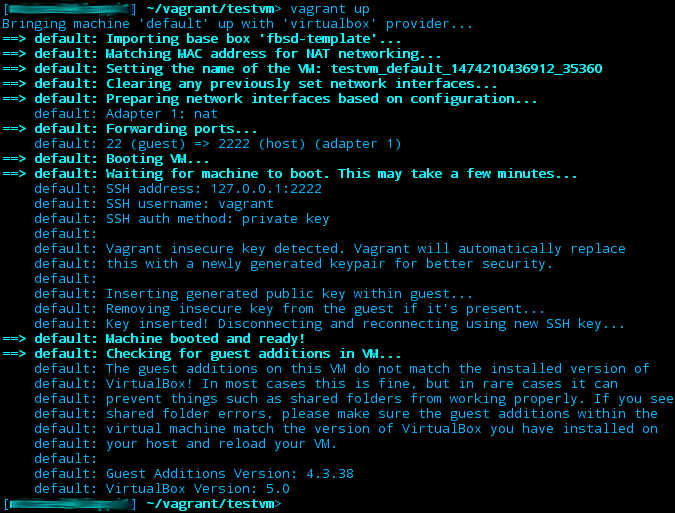 If you already know how to use VirtualBox and have a good idea of what Vagrant is about you may skip this post and go to the next one where the actual base box is being built (not written yet, will link it back here once it’s available). So what’s Vagrant? Vagrant is a program written in Ruby that runs on multiple platforms (FreeBSD, Linux, OS X and even Windows). It basically is a wrapper for virtualization software that makes working with VMs extremely easy and convenient. Vagrant supports multiple hypervisors and containers (simply called providers in Vagrant terminology): VirtualBox, VMWare, KVM, LXC and Docker. A GSoC effort exists to also support FreeBSD’s native hypervisor Bhyve – I’ll definitely give this one a shot in the future. 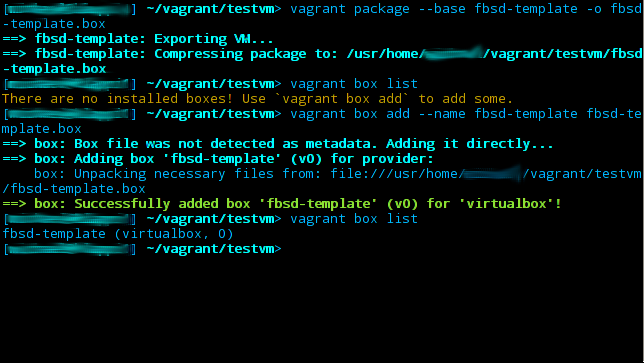 Vagrant uses a configuration file (the Vagrantfile) for each VM to know which template (called base box) to create it from, how to configure it and so on. It also supports a lot advanced functionality like provisioning a newly created VM using configuration management tools like the veterans Puppet and Chef or the newer generation like Salt Stack and Ansible. There are many cases where Vagrant can help you – just think about it for a moment. There are a LOT of base boxes already made for you to download and use (have a look here or here). If you need to create new base boxes quite often, you even may want to automate this step. This is possible with a tool called Packer that allows you to create base boxes from a configuration file. 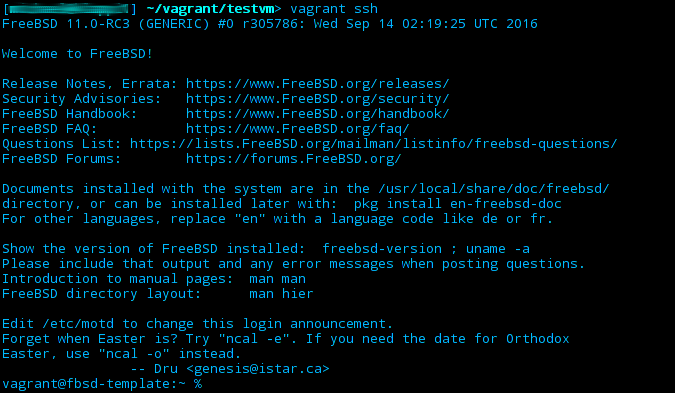 This post however details the manual creation of a Vagrant box using FreeBSD 11 as the target OS. Keep in mind however, that by default FreeBSD uses the quarterly package repositories now and you should either change that or simply install from ports (sysutils/vagrant) if you want the newest version. All done. 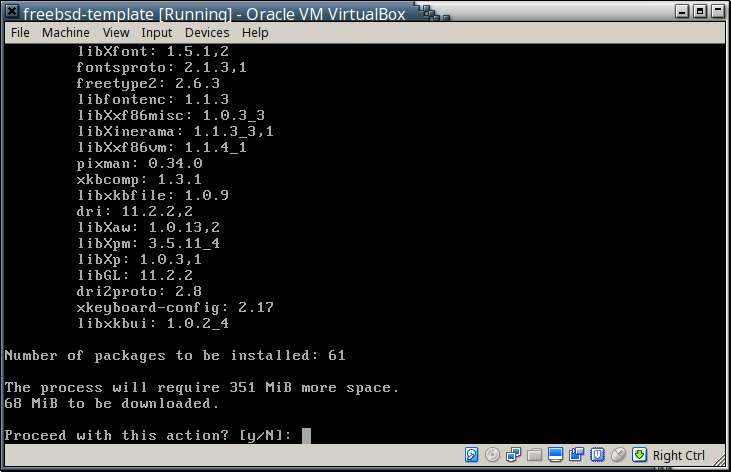 VirtualBox is ready to be used. There’s more configuration suggested if e.g. 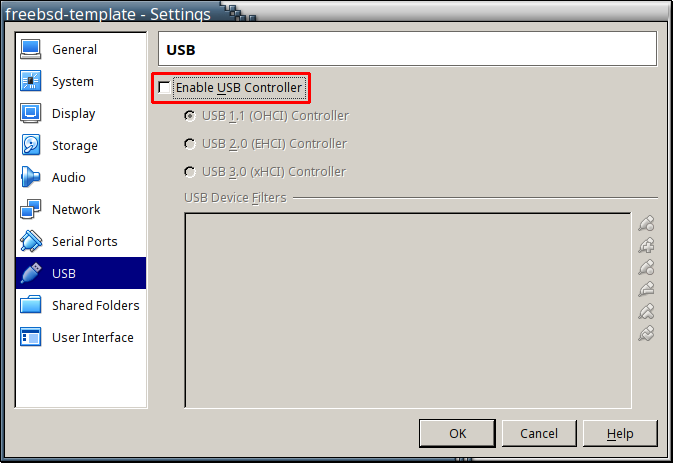 you want to use USB in your VMs (which in this case I don’t). Click on New to launch an assistant for creating a new VM. 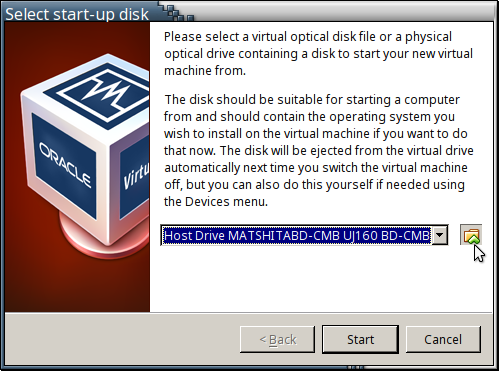 Give the new VM a name and select the type of operating system that it’s meant for. 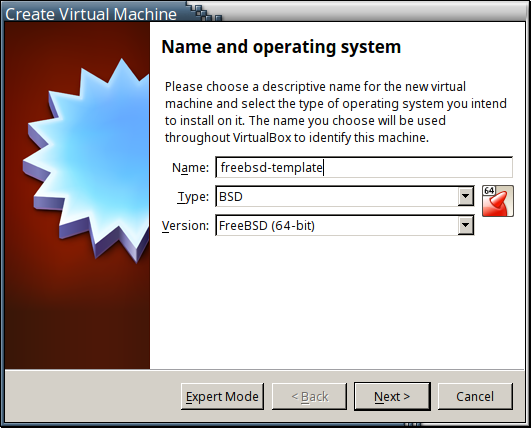 If you use a name that is somewhat like “freebsd”, VirtualBox will automatically suggest the right type and OS. Since this VM is going to be a template rather than a single-purpose one, I chose the name “freebsd-template” to reflect that. Set the amount of ram for the new VM. Think about the correct value for a moment. It’s no problem if you notice that you need more later – you can always change the amount of RAM allocated for the VM when it is turned off. But setting it right now saves you the time and effort to re-adjust it later. So how much should you select here? It depends on several factors. I’m planning for a template that I want to spin up as multiple VMs so the host system must have quite a bit more RAM than the three to five VMs (that I want to run in parallel) together. However my host machine has 24GB of RAM and so there’s no need for me to be stingy and I’m allocating 1024 MB because I have plenty available. If you have little free RAM go for less. I intend to use FreeBSD in text-mode with not too many services running. You could probably do with 256 MB or even less if you really have to. 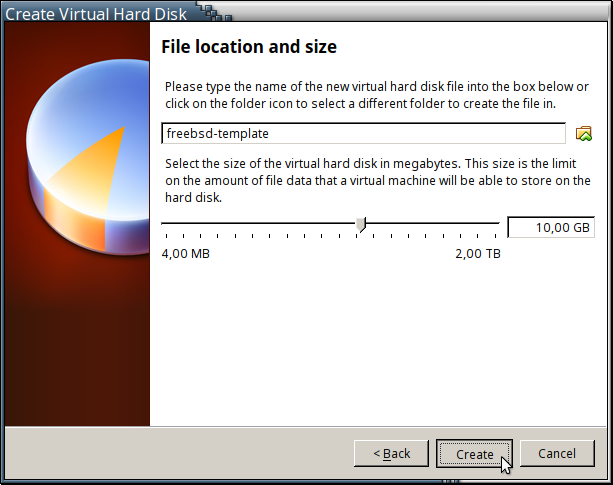 The VM needs a virtual hard disk. Set the maximum size for that. Just as with RAM chose some value that’s sensible for your case. Again: I have enough space so I don’t have to go with ultra-low values of 3 GB or so. Making the virtual hard drive dynamically allocated means that it’s only going to take the actual size of its data of space on your real hard drive. This means that it can “grow” until it reaches its maximum size. Note that it won’t automatically shrink if you delete data. That’s all, you have created a VM. Start it now. 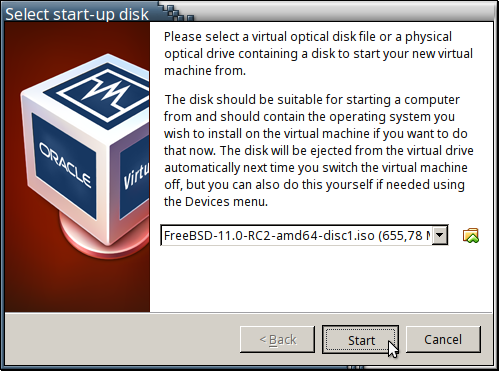 On first start, VirtualBox will ask you to insert some kind of installer media. If it didn’t the same thing would happen that happens on a PC with an empty hard drive: The system would fail to boot. Download an ISO image of FreeBSD 11 and select it as the boot iso in VirtualBox. Now let the VM boot! I’m using FreeBSD11-RC2 here because the date for the final release has been delayed (it should have been out now and that’s what I had planned for). The OS should boot up and offer you to go to the installer. Proceed and install FreeBSD. It’s pretty straight-forward but there are a few things noteworthy about the installation options. 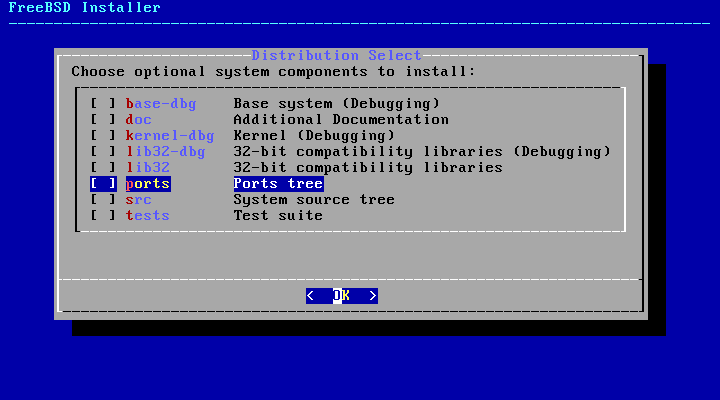 I don’t want to repeat myself, so if you’re completely new to installing FreeBSD, you might want to take a look here where I detailed the installation of FreeBSD 10.1 (I explained disklabels and such). Here I’ll only cover what’s new in the 11.0 installer. I use the hostname “fbsd-template.local”. The installation sets are different because the base system structure has been redesigned. Most likely you won’t need any of the optional sets. To keep the template nice and small I suggest to de-select all of them. Go with UFS as the file system unless you have special needs – and can spare a fair amount of RAM (2G+) for each VM. So going with AUTO (UFS) and using the entire disk is probably fine. Choose GPT partitioning – we’re not dealing with legacy hardware here. Enter a root password; if you intend to share your base box, it’s common to set the password to vagrant so that others might easily access and modify it. Configure your network (most likely an IPV4 network with DHCP and no IPV6). Thanks to DHCP you should not need to configure the resolver but can accept the values that the installer was told. 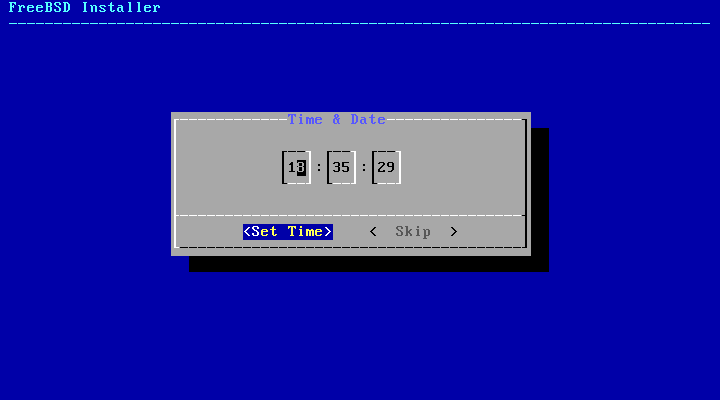 Configure the timezone. 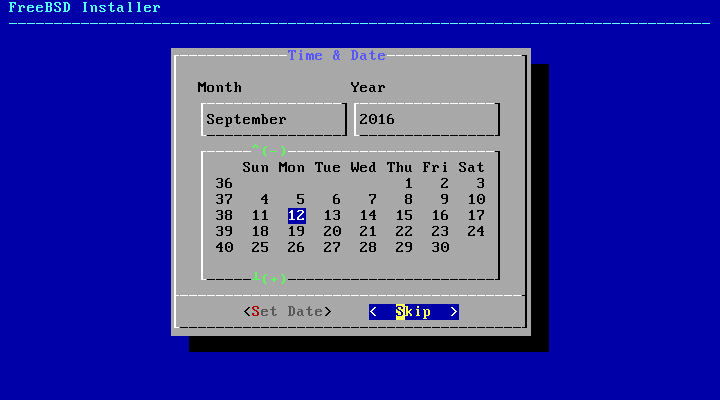 The FreeBSD 11 installer will let you set date and time now which is a nice feature. Deselect all services except for SSH which is how Vagrant will connect to the VMs. 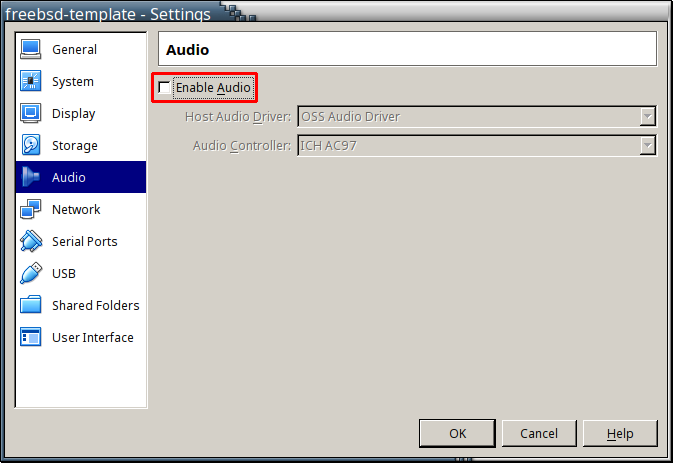 The system hardening dialog is also new. In my case it’s not terribly important since I’m creating a simple VM template for testing purposes. But for production servers it is actually a pretty good idea to tweak some options. I’ve grown a habit of cutting down services that are remotely accessible to the necessary minimum and thus simply selecting the two last options saves me some hassle of editing rc.conf to do just that. We don’t need to add users right now and can quit the installation without final modifications. So let’s reboot. It’s necessary to remove the installation iso or the machine will boot to the installer again instead of into the new operating system. If you’re not fast enough and the system is already booting the installation iso again, just force the unmount and reset the VM. 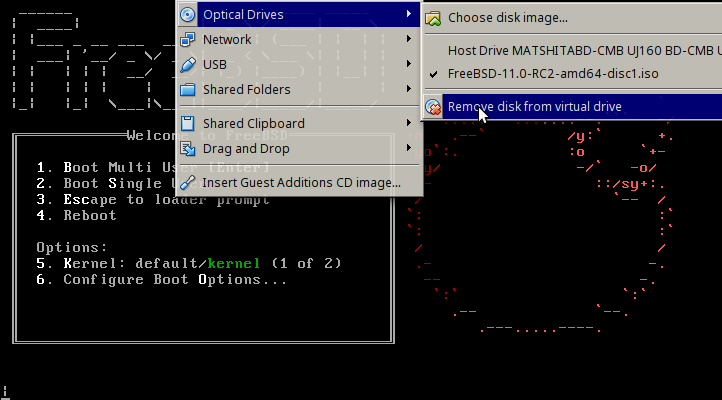 Now the VM should boot into your new FreeBSD 11 system! While this part discussed the requirements and detailed the preparations, the second part will describe how to actually build the base box for Vagrant.